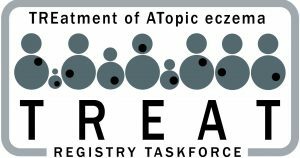 Welcome to the international TREatment of ATopic eczema registry Taskforce (TREAT) website! We look forward to working with the global dermatology community on our projects, especially those who routinely treat patients with recalcitrant atopic eczema. We hope you are interested in collaborating with us. Do get in touch directly if you would like to get involved: treatregistrytaskforce@gmail.com.